If you are tired of shaving and plucking, A Zen Salon & Spa, your Colorado Springs salon offers hair removal solutions that provide the results you are craving. With a good wax, you can be hair free for up to six to eight weeks. If that sounds like the solution to your unwanted hair, then we are ready to help. Waxing works by removing the hair from the root. A special wax is placed on the skin that adheres to the hair. The clinician applies paper to this wax while it is still wet, then allows the wax to harden slightly. The paper is removed quickly, and with it the unwanted hair that is in the wax. Because this process gets the hair from the root, rather than just removing the hair from the surface of the skin, it takes a longer period of time for the hair to grow back. In fact, most people find that they are hair free in the areas that we wax for two to eight weeks. At A Zen Salon & Spa, we can wax most areas of the body. Women often come to us for their legs, bikini area, arms and underarm areas. Men often look to us for help with their backs and chests. 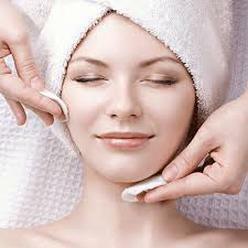 We also offer facial waxing of the chin, eyebrow and upper neck. If you are ready for weeks of hair-free skin, call the team at A Zen Salon & Spa today to schedule a consultation to discuss your hair removal needs. We will look at the area to determine whether or not our wax procedure is the best solution to your unwanted hair. With our help, you can be rid of that unwanted hair for longer than you thought possible. Please Indicate Date and Time You'd like to come in!